The program, which took effect April 1, is designed to help achieve Canada’s Paris Agreement climate goal of reducing carbon pollution by 30% below 2005 levels by 2030. The 2018 Greenhouse Gas Pollution Pricing Act implements the federal carbon pollution pricing system for fuels and will be administered by the Canada Revenue Agency. 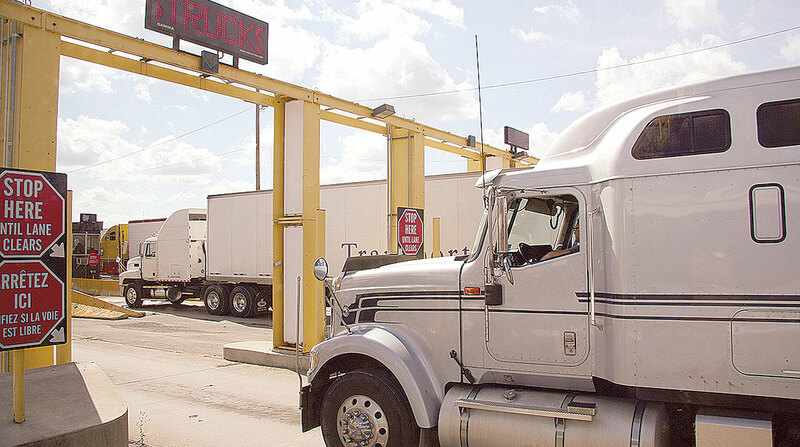 The new federal tax scheme applies to the provinces of Saskatchewan, Manitoba, Ontario and New Brunswick beginning April 1 and will apply to Nunavut and Yukon territories beginning July 1, according to an information document compiled by Glen Kedzie, energy and environmental affairs counsel for American Trucking Associations. Since the provinces of British Columbia, Alberta and Quebec have been implementing carbon pricing systems for several years, they already meet the minimum federal standards and the new law does not apply to them. Other provinces and territories including the Northwest Territories, Nova Scotia, Prince Edward Island, Newfoundland and Labrador, have planned or proposed carbon pricing systems that will meet the latest federal requirements, the ATA summary document said. In provincial jurisdictions without a carbon charge currently in place, the price of diesel in Canadian currency will add 5.37 cents per liter in 2019, rising to 13.41 cents by 2022, according to the Canadian Trucking Alliance. Truckers traveling into Canada from the United States now are required to register in one of the four new provinces if they have not registered in one of the provinces already charging a carbon tax. They also will be subject to paying the higher cost of diesel purchased in Canada. “With close to three-quarters of a billion dollars being taken out of the longhaul trucking sector as a result of the carbon tax over the 2019-22 period, it is time for members of the supply chain to understand the potential impact of these costs,” Ontario Trucking Association Chairman David Carruth said. To help offset these rising cost challenges associated with the carbon charge, CTA said it continues to call on the federal government to introduce a heavy-truck green technology incentive program similar in structure to the Écocamionnage program in Quebec. That program features incentives for such technology as anti-idling, aerodynamics for tractors and trailers, driver monitoring and telematics, and hybrid-electric propulsion systems, CTA said.